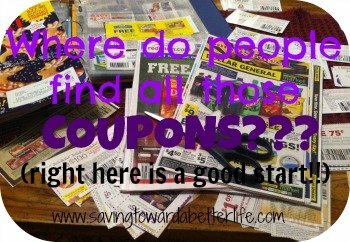 Are the kids out for spring break? Treat them to a cheap lunch on Wednesday, March 27th. 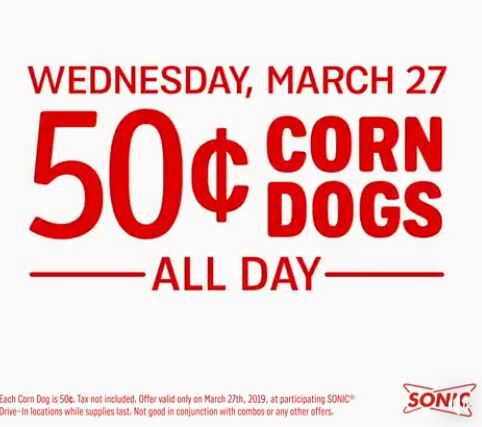 It’s time for $.50 corn dogs at Sonic again! Don’t forget about $0.99 large drinks before 10 am and 1/2 price drinks from 2-4 pm everyday. Sonic now also offers 1/2 price drinks all day if you order using the app! Limit 5 corn dogs per order on $.50 day. Next post: M&M’s Filled Easter Eggs $.91 each!